Selling My VN, New Tires or Not? Should I put new tires on and raise the price, or leave it alone? Let the buyer get the tires they like? I'm just in too bad of shape to ride much, can't justify keeping it. It will get to the point I have to clean the carbs before every ride. Think my street riding days are over for good. what year is yours? you listing it on marketplace, CL, or somewhere else? or give the potential buyer the option: buy with old for less, or wait a few days and get it with new for more.. some people may not want to go thru the hassle of getting new tires, some will think of it as a savings for not paying up front for the tires. 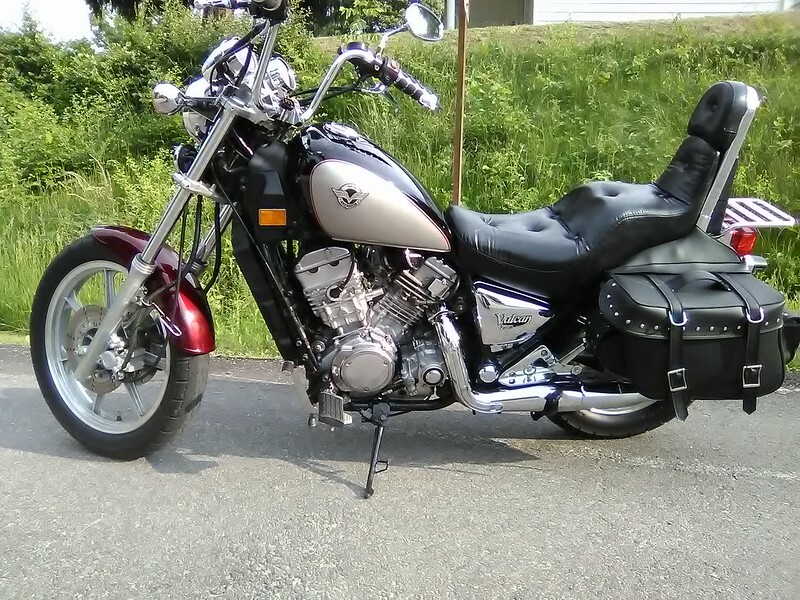 It's a 2003, with black/silver 2005 tank (new), chrome sidecovers from whichever year, and the stock metallic maroon fenders. Had to change her name from Christine Pandora Cheri, to just Calico. Probably just list it on CL and the local trader paper, don't do FB. Of course here, but local buyers are scarce as members here. Good suggestion as well. I can show them prices I get tires for and offer to mount them. With zipties! I'm not a seller that wants back every dime invested, when I settle on a price, my ride time will have been deducted. Besides, I got great deals on almost everything I bought for it. Anyone wanting a turnkey bike with all the good mods already done, might want to check it out. Price should be under $2k for sure. Last edited by Spockster; 03-21-2019 at 12:54 PM. Blow these up and zoom in, it's clean and has some add-ons that are getting hard to find. Just looking at the pics gives me second thoughts, but I finally know better than to keep her. 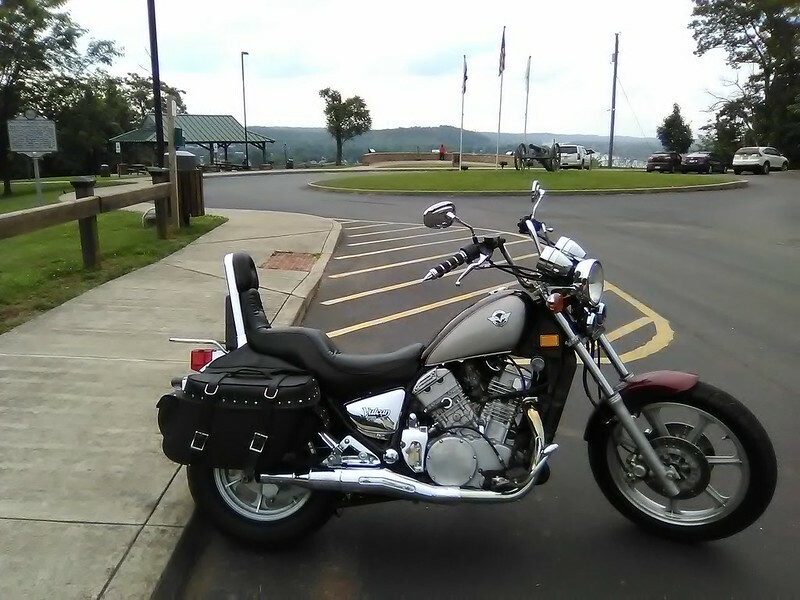 Every time I looked at her, I wanted to ride. Damn, gettin' choked up..
Last edited by Spockster; 03-21-2019 at 12:57 PM. Will the tires pass inspection. If so then let then on. And sell your luggage rack to Xirnibor for extra cash. It's close, depends on the inspector. Only had one sticker on it since I bought it, it's in the toolbox, no gummy crap on my forks. Probably only if the buyer wants to bobbit. I could strip the goodies and get the purchase price back, and still own the bike.